Manila, Philippines -- If you are fond of online shopping and you are looking for a hybrid laptop, Lazada is the place to be. There is a lot of selection, and one of them is the international brand called -- Nextbook. The Nextbook Flexx 9 is an 8.9 inch hybrid that can become a tablet or a netbook. Laptop makers seem to be setting new records regularly for how affordable Windows 10 laptops can be, and now you can get a 2-in-1 tablet-plus-keyboard for less than the cost of a nice microwave. 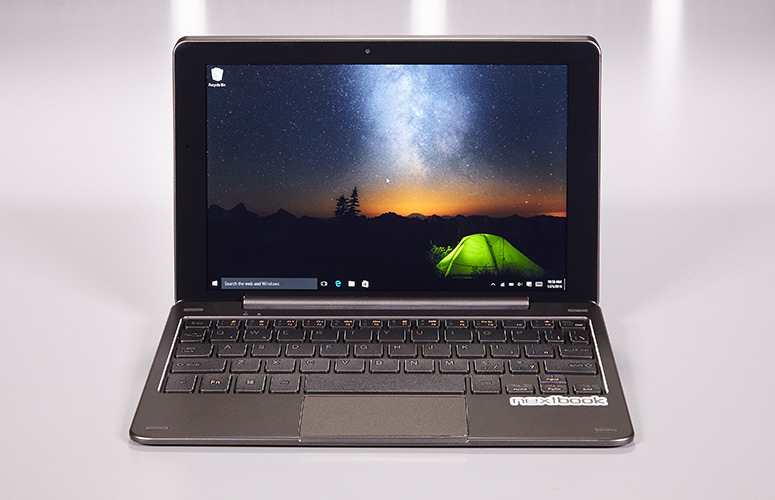 E Fun's Nextbook Flexx 2-in-1 combines an 8.9-inch detachable display, an Intel Atom processor and Windows 10 for a budget-friendly price of 5,499 PHP. This little transformer caught my attention when I was browsing thru Lazada, and end up buying it. The delivery was fast and there was no doubt that the Flexx 9 is stunning. The blue (also available in matt-black or purple) Nextbook Flexx 9 can fit just about anywhere, from messenger-bag flaps to large purses, and even some interior jacket pockets. E Fun gave the Flexx 9 a solid build quality and a very tight hinge, both of which make the hybrid feel more durable than its price suggests. With an Intel Atom Z3735G processor and 1GB of RAM, the Nextbook Flexx 9 delivered a good performance specially if you will just going to use it for work or presentation. The hybrid performed well on Google Chrome tabs open, which gives multitasking an outright performance. A long pause always accompanied a move between tabs occur sometimes, with some tabs having to reload completely (likely due to the Flexx 9's memory having flushed that information), but its mainly not happening most of the time. As for the Flexx 9's endurance, it performs well, just like any other office netbooks. The system lasted just 5 hours and 45 minutes based on my experience, which involves continuous Web surfing over Wi-Fi on 100 nits of screen brightness. But if you activate the battery saver, I must say that it can last longer. Overall, my experience with it is all well and good, and now it is my prime weapon of choice when I do my Social Media Management and Email Support at home.